​Urban Meyer's tenure at Ohio State is coming to a close after seven seasons as the Buckeyes hea​d coach. His final game with the program will be the 2019 Rose Bowl against the Washington Huskies, and he will retire from coaching after the game. Meyer stepping down from his position at the program is the best thing for Ohio State. 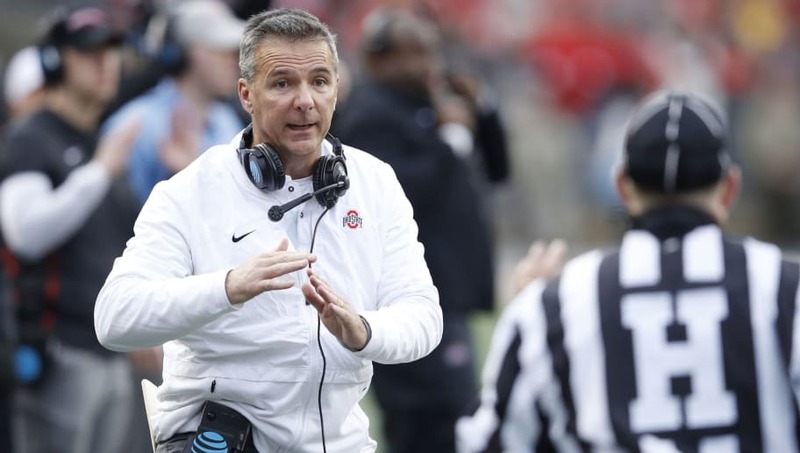 ​It's been speculated for weeks on end, and it's finally time to move on from the Meyer era, as there were simply too many distractions surrounding him. Meyer has been dealing with health issues, having undergone brain surgery in 2014. He was also facing scrutiny for his handling of controversial ex-coach Zach Smith amid allegations of troubling behavior, which resulted in Meyer being handed a three-game suspension to start off the season. Meyer's replacement, ​Ryan Day, is well suited to step into the role and lead the Buckeyes going forward. He was previously the quarterbacks coach under Chip Kelly in Philadelphia during the 2015 NFL season and coached the 49ers in the same role in 2016. He's been a football coach for 17 years. After seven seasons in Columbus, Meyer had logged an incredible 82-9 (.901) record, and the team went 4-2 in bowl games including winning the first ever College Football Playoff championship in 2014 when the Buckeyes defeated Alabama and Oregon. With Meyer out of the picture, the program will focus its efforts on ensuring Ryan Day has an easy transition into his new position and will hope he can continue the success Meyer had...just without all the baggage and drama.